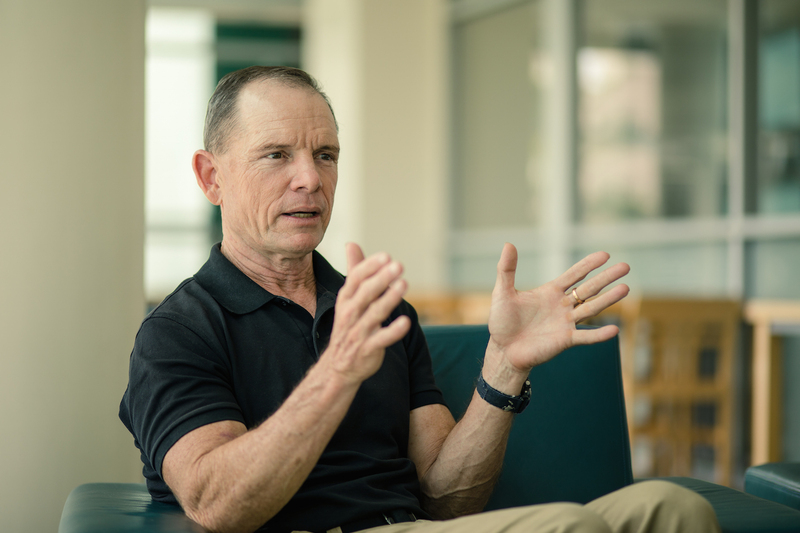 + David Eubank (MDiv ’95), director and founder of Free Burma Rangers, shares stories from his years of ministry in war zones in Burma and Mosul, reflects on being “an ambassador for Jesus” while fighting ISIS soldiers, discusses the ways violent contexts have shaped the way he prays, and more. The Free Burma Rangers (FBR) is a multiethnic humanitarian service movement working to bring help, hope, and love to people in the conflict zones of Burma, Iraq, and Sudan. Working in conjunction with local ethnic pro-democracy groups, FBR trains, supplies, and later coordinates with what become highly mobile multipurpose relief teams. After training, these teams provide critical emergency medical care, shelter, food, clothing, and human rights documentation in their home regions. Published on January 9, 2018. Note: This conversation contains explicit descriptions of warfare and violence that may not be suitable for all audiences. Listener discretion is advised.